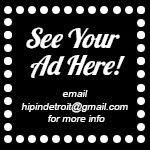 Foran's Irish Pub opened its doors in 1979 and was one of Detroit's most popular spots in the city. 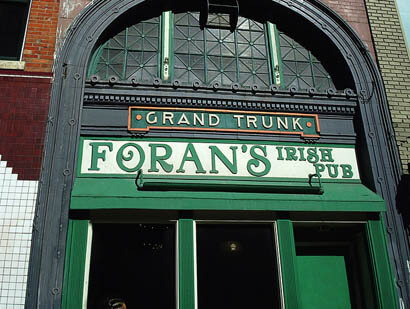 In 2007 it became the Grand Trunk Pub, but once a year they throw up the old sign and bring back the ghost of Foran's for one day only in honor of St. Patrick's Day. The historical building actually has quite a history. The space officially opened in 1903 as the Grand Trunk Railway Ticket Office. In 1935 it became the Metropole Grill, in 1943 it became Vane’s Public House and in 1955 it became Shannon’s before becoming Foran's in 1979. 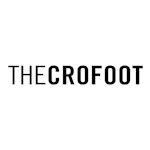 It has a long history of serving up great drinks and food, which is exactly what they will be doing on Saturday, March 17th when they bring back the Foran's sign and menu for one day. This will include Bangers & Mash, Ackroyd's Scottish Bakery Celtic Hand Pies, Wigley’s Corned Beef & Cabbage, Shepherd’s Pie and more. "Foran's" will only be open from 8 a.m. until 2 a.m. on Saturday, March 17th. They will have bagpipes playing from 8 a.m. until 10 a.m. and they will have hourly drink specials throughout the day. If you want to turn back time, stop by Foran's!